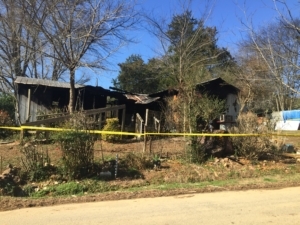 Bartow County officials said that a man was killed in a fire Tuesday off Barnsley Gardens Road. The man’s body was later sent to the GBI crime lab for an autopsy and to confirm his identity. Reports said that authorities were notified around 7:30 of the fire. When firefighters arrived they stated that the structure was close to 75 percent involved. Reports added that three people were in the home when the fire started but only two were able to make it out. Officials added that there was a delay in notifying 911 because no one in the home had a phone. They had to go about 100 yards down the road to get service in order to call 911.